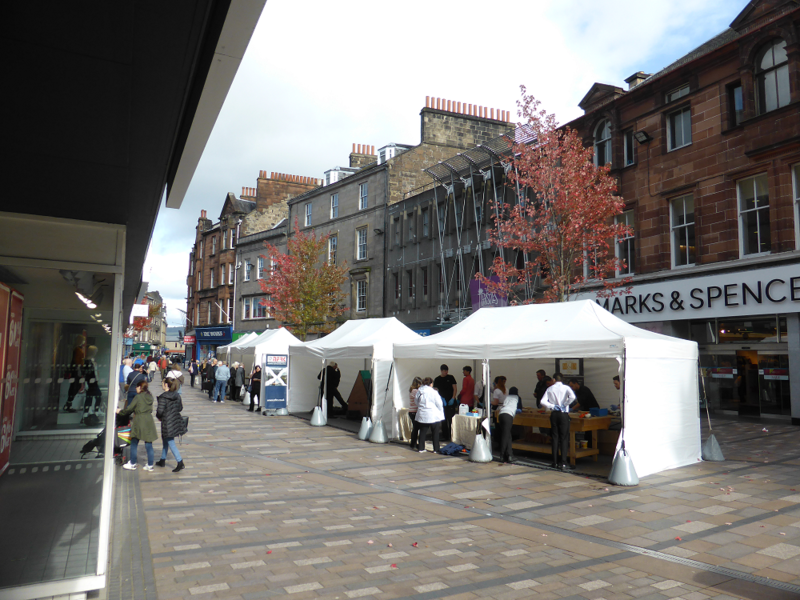 Stirling Traditional Skills Demonstration Day Success! 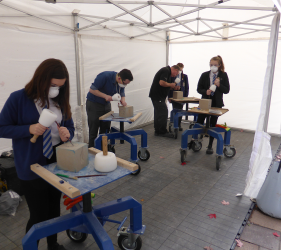 The next generation of craftsmen and women whose skills will help preserve Scotland’s architectural heritage had a chance to learn more about traditional building techniques at an event in Stirling. 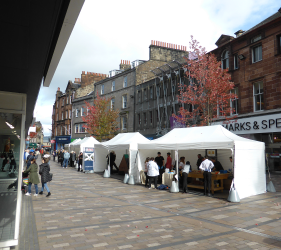 Organised by the Stirling City Heritage Trust and the Forth Valley Traditional Buildings Forum, the two day traditional building skills event included demonstrations of stonemasonry, specialist joinery, roof slating and painting and decorating. 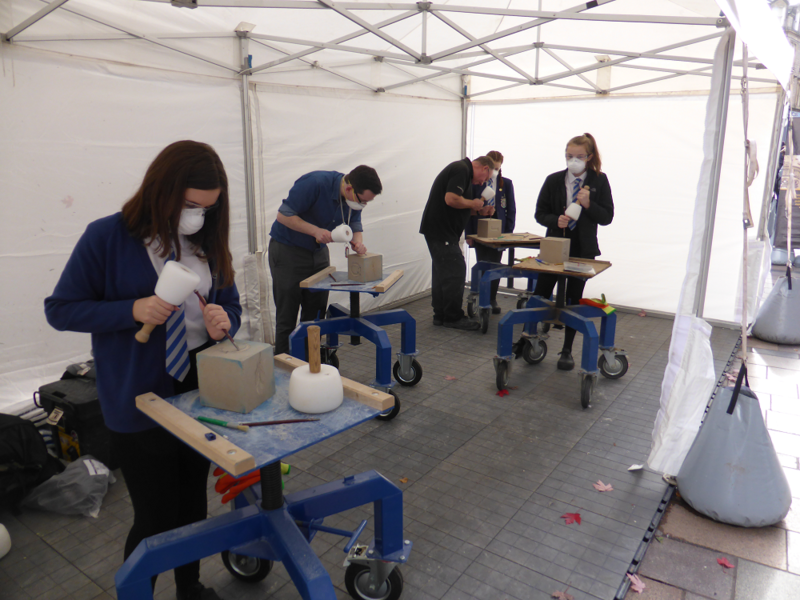 Inspiring future generations to keep these traditional skills alive was the major purpose of the event and secondary pupils from six schools across Stirling who are beginning to think about their career choices, had an opportunity to try their hands at traditional crafts. 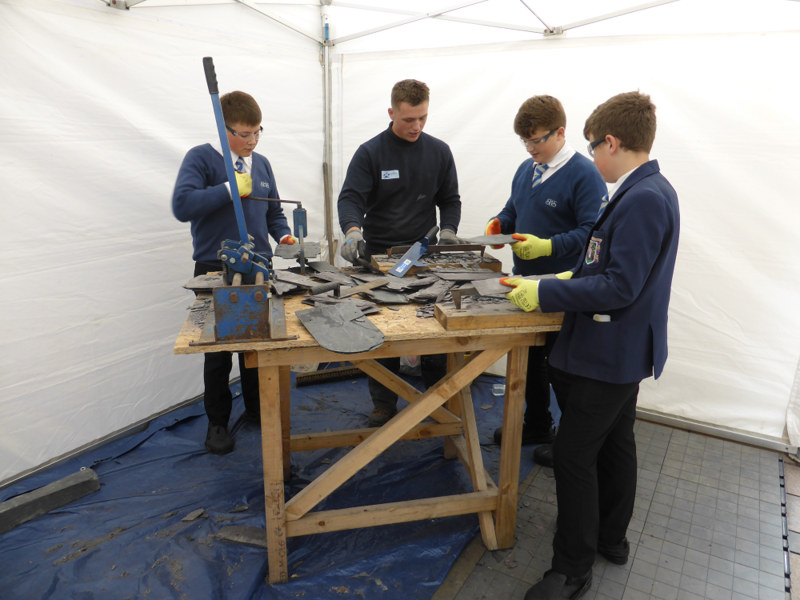 During the event the school children were visited by MSP Bruce Crawford, MSP Mark Russell and MP Stephen Kerr who under the guidance of young apprentices, also tried to master some of the skills. Looking around Stirling, it is easy to see that what makes Stirling such a beautiful city, it is the beautiful traditionally constructed buildings around us. It is important that the homeowners of these buildings and the next generation look after and learn to maintain and repair these buildings. 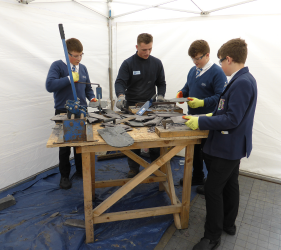 The event, which was held in Port Street was open to anyone interested in a career in traditional building construction or property owners concerned about the condition of their building.